In this paper, a tracker based on mean shift and radial basis function neural networks called MS-RBF is addressed. As its name implies, two independent trackers have been combined and linked together. The mean shift algorithm estimates the target’s location within only two iterations. The scale and orientation of target are computed by exploiting 2-D correlation coefficient between reference and target candidate histograms instead of using Bhattacharyya coefficient. A code optimization strategy, named multiply–add–accumulate (MAC), is proposed to remove useless memory occupation and programmatic operations. MAC implementation has reduced computational load and made overall tracking process faster. 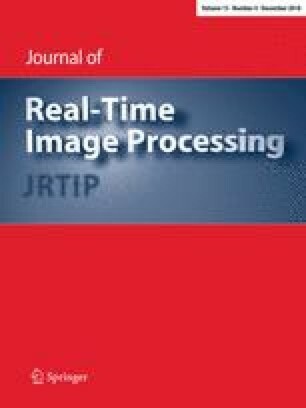 The second tracker “RBFNN” has an input feature vector that contains variables such as local contrast, color histogram, gradient, intensity, and spatial frequency. The neural network learns the color and texture features from the target and background. Then, this information is used to detect and track the object in other frames. The neural network employs Epanechnikov activation functions. The features extracted in any frame are clustered by Fuzzy C-Means clustering which produces the means and variances of the clusters. The experimental results show that the proposed tracker can resist to different types of occlusions, sudden movement, and shape deformations. The following code is in MATLAB programing language. Note that the number of data must be high to see a stable ratio of times.